Owing to a long-term destination for our business, we are engaged in offering the premium quality gamut of Leather Wallets. 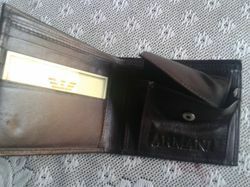 The provided wallets are 100% genuine leather with box packing. These wallets are available in a wide range of colors & designs and various specifications or customized as asked by customers on the parameters of color, design and pattern. Moreover, we are offering these products at affordable price to fulfill the demands.